Modern website designs must be more adaptable than ever before. Today's consumers are equally likely to be viewing your website on a widescreen monitor, a tablet, or even a smartphone. Ideally, your website design must be visually appealing and perform equally well on each one of these types of devices and every variation in between. In practice, it can be challenging to create a great experience for every user regardless of the type of device they use. Not too long ago, the solution to this website design challenge was to build different websites for desktop and mobile devices. The introduction of tablets added another dimension, since some of them were too large to comfortably use the mobile website, while others were too small to use the standard website. As the number and size of devices has grown, it has become prohibitively expensive to design and build multiple websites for different sized devices. Further, it is very easy, perhaps even inevitable, for multiple company websites to become out of sync, as changes made to one are not accurately reflected in the others. Responsive website design is one of the biggest trends in the industry today, and it is the solution to the design and usability challenge presented by our expanding technology base. With a little bit of forward thinking and design creativity, it is possible to build one website that automatically scales and re-formats itself based on the size, and even orientation, of the device upon which it is being viewed. Big Giant Media has been creating re-formatting websites even since before the phrase "responsive design" became the buzzword it is now. To us, it's just common sense to make the most out of the space available, regardless of the device used. The samples below are some of our most recent responsive website designs. Take a look and be sure to visit the sites. Use your workstation, your tablet, and even your phone to see how they look. We think you will be impressed! 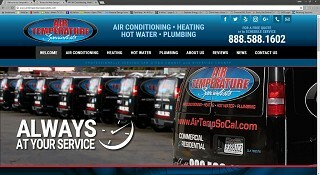 When Air Temperature Specialists needed to replace their aging website design, they contacted Big Giant Media for help. The staff at BGM got right to work and created a new responsive website design that brought ATS up to date with style! 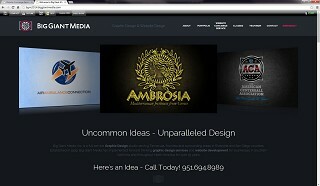 The new website design features scrolling parallax effects and offers a new take on an established business. 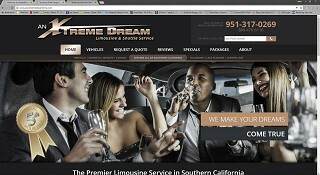 An Extreme Dream Limousine is a local limousine service provider that contacted Big Giant Media for help updating its older website. The Team at Big Giant Media created an all new website design for AEDL, using responsive design techniques to guarantee a friendly user experience across devices of all sizes! As a result of the new website design and SEO performed by Big Giant Media, AEDL's website ranks consistently on the first page of Google's search results for a highly competitive industry in a saturated market. Kiwi Construction specializes in steel building construction, and has been a long time customer of Big Giant Media. In addition to website design, Big Giant Media has participated in several projects including graphic design for Kiwi's printed material, large scale graphic design for trade show items, designs for vehicle wraps, and many others. 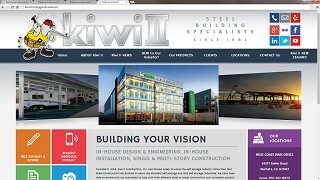 For their latest incarnation on the web, Kiwi Construction chose to experience Big Giant Media's responsive website design and the result is one of our best yet! 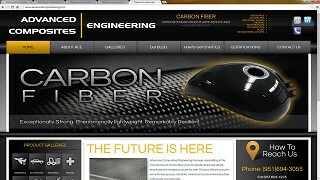 Advanced Composites Engineering was a high-tech company with a very low-tech website. They approached Big Giant Media when it was time to upgrade their old website with a look that was more in line with the exotic custom products that they manufacture. We were able to update their site with an eye-catching new look, and we created a system wherein they can display their product line in a beautiful new setting. 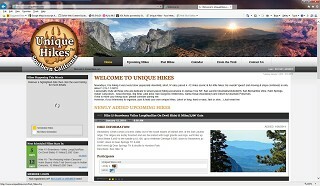 UniqueHikes.com is a small organization run by a successful entrepreneur that also happens to really love hiking and the great outdoors. When he wanted a place to share his hiking adventures with friends old and new, he came to Big Giant Media for help. We created a responsive social website focused on sharing images and encouraging others to participate. Now his hikes are more fun than ever as new people sign up to experience the wonder of nature! 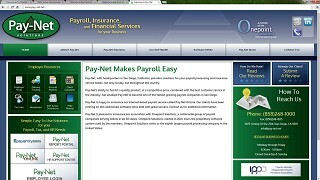 PayNet is a national payroll agency that had been presenting itself on the web via the same tired old website for over 8 years. When they were ready for an upgrade, Big Giant Media was able to take their existing logo and color scheme and morph it into a contemporary look suited for use on a wide range of devices, from large desktop monitors to small mobile devices. And in the process we were able to simplify the previously complex navigation system, making it much easier for PayNet's customers to find the information they need! Oh, yeah...here's one. We believe so strongly in responsive design techniques that we used them to design and build our own website. All the pages you see anywhere in our site were built using the same techniques that can be applied to your next website. So, click around, and see what we did for ourselves and what we can do for you, too. Then contact us for more information - 951-694-8989.